“And…sleep!” The hypnotist’s voice echoed in Marshall Auditorium. After a few moments, the lights went out. The annual hypnotist show during Customs took a different turn this year when the power went out about halfway through the act. There was a stir and whispers; finally, loud conversations and laughter filled the large auditorium. Behind the stage, the Customs Co-Heads Tina Le ‘19 and Madeline Guth ‘19 noted that everyone was calm because most believed the blackout was part of the hypnotist act. Le said that she knew they “had about ten minutes before everyone started freaking out, because [the blackout] came at a perfect time” during the show. The Co-Heads’ priority was to find someone who could solve the issue before the audience started to panic. On stage, the students who were in the midst of being hypnotized were awoken and as they looked up confusedly, the hypnotist stood up to address the students. “Did Haverford forget to pay the electric bill?” he joked as he advised everyone to remain seated until the lights came back on. 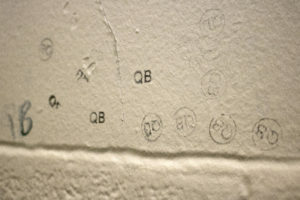 The first-year students began to realize that it was a blackout when the lights failed to come back on for 15 minutes. They were disappointed that the show was cut short, but the blackout proved to have positive effect as well. They resorted to using their phone flashlights and even played several games of “Rock, Paper, Scissors” and “Chopsticks” by casting shadows of their hands on the ceiling. Although the campus was pitch black, there was a hint of excitement in the air as students found their friends and Customs teams in the dark. 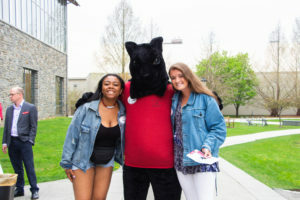 Many students took advantage of the blackout to bond with others and meet new people. Students were directed to go to Sharpless and the KINSC because they had emergency lights on. While first-years were playing games and having fun during the blackout, Facilities Management and Campus Safety were busy ensuring the safety of all the students and trying to figure out what had gone wrong with the electricity. 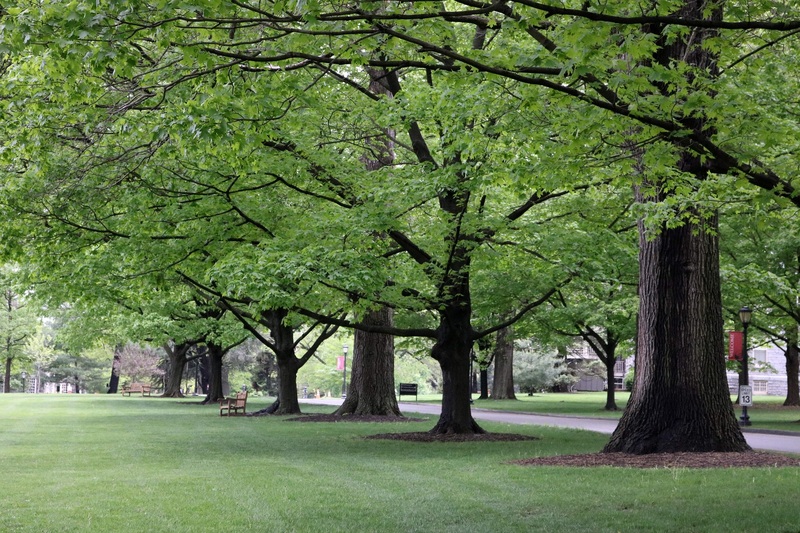 PECO, an Exelon Company, is Haverford College’s power provider, and when the campus lost power, Facilities Management sought to find a solution. “I don’t know that we know why we lost power from PECO,” said Donald Campbell, director of facilities management. “[But] when that happens, we have three emergency generators that start and pick up the load, and usually everything’s back on inside of fifteen seconds.” He stated that they tried to run the three generators, but they all failed. However, Campbell assured that power outages occur infrequently. The reason why the blackout during Customs lasted roughly an hour and a half was because one of the fuses in the backup generator’s breakers blew, and therefore, power wasn’t picked up by Haverford’s three emergency generators. A high-voltage contractor was brought in to figure out what had gone wrong with the backup generators; he replaced the blown fuse in the generators and restarted them. 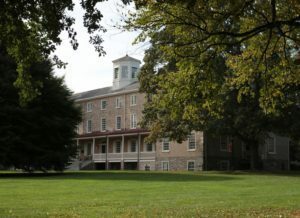 Although Haverford has had power outages from time to time, students won’t need to worry for the winter since the generators have now been fixed and tested. Although the hypnotist show was abruptly interrupted and the students were thrown into a very stressful situation, the Customs Co-Heads are very grateful to everyone for helping maintain a safe environment. “It was really heartening to see people looking out for each other,” she said.